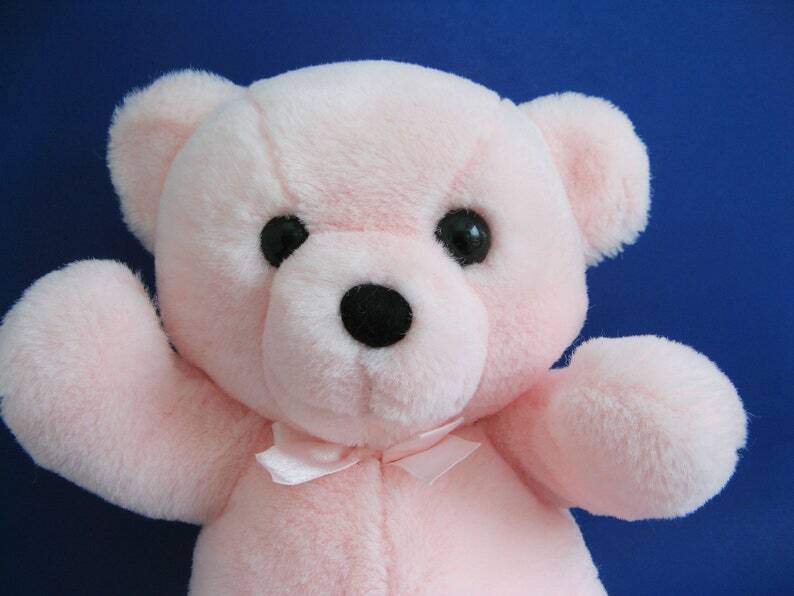 Adorable vintage pink Teddy Bear. Super soft! Original pink ribbon. She is in very good, gently played with condition with minor scuff on eye. Measures about 14 inches (35 cm) tall from ears to feet. This "gently played with" toy arrived quickly in like-mint condition! Can't imagine how this vintage bear was kept like new. Couldn't be happier.